Millions around the world have protested against the continuing slaughter in Gaza as the crisis gathers pace. Here in Coventry there have been protests which have been well attended as people express their disgust as the death toll mounts. 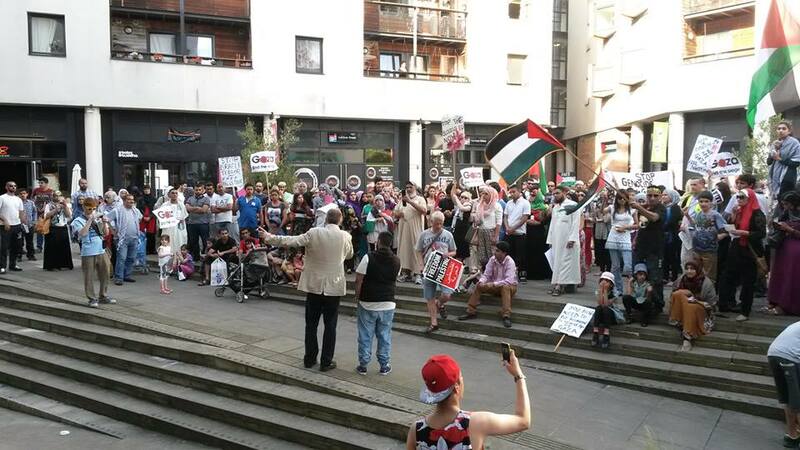 Socialist Party members in the city have supported the protests, as we have done across the UK and indeed the world. In this post we provide some links to what we believe are important articles and film which express the outrage that so many are feeling, but importantly provide a socialist analysis of the situation, and a socialist way forward out of the endless nightmare for the working class and poor of the Middle East. The Socialist Party is a member of an international organisation of socialists, the Committee for a Workers’ International (CWI) which is present in around 50 countries across the world. We are proud to be linked to the Socialist Struggle Movement in Israel / Palestine which has relentless campaigned against the occupation and in support of united working class struggle across the Middle East. The following is a short film of a speech by a member of the Socialist Struggle Movement, Shay from Haifa in Israel. The next link is an article by another member of the Socialist Struggle Movement, Shahar. This goes in to some detail about the current situation in the region, including the current mood of the Israeli population towards the war, Hamas, and the role of socialists in fighting for a solution. And finally, here is the PDF of the leaflet that has been mass distributed across the country. To access it click here. A new Socialist Party leaflet will be available in the next few days. If you are disgusted by what you are seeing on the TV screens every day, and want to help us fight for a socialist solution to capitalist brutality in the Middle East, please fill in the form below.